Radiofarda – Despite the ongoing U.S. sanctions on Iran, India continues to be one of the chief importers of Iranian oil. Indeed, the state owned petrochemical corporation Indian Oil is set to import up to 9 million barrels of Iranian oil in December.That is more than 20 percent of current Iranian oil exports. The Indian government was given a conditional and temporary waiver from the Washington to continue importing Iranian oil, if it commits to reducing these imports gradually. But India has difficulties meeting its domestic demand for oil as it imports 80% of its oil. Indeed, despite the country’s plan’s to reduce the amount of oil imported from Iran by 20%, the Indian government has also announced that it will carry out all payments in Indian rupees. This will help the Indian government avoid potential sanctions, which would target transactions in U.S. dollars, an approach used by India during previous sanctions against Iran and Iranian oil. While imports of Iranian oil by Asian countries such as China, Japan or South Korea, have hit a five-year low in October, Indian imports of Iranian oil fell by only 0.2 percent. This can be partly explained by incentives offered by Iran to India, including almost free shipping and extended credit. However, it could also be argued that this is largely due to the waivers. India has provided assistance and investments of over 2 billion dollars to Afghanistan since the US-led intervention in 2001. This has helped sustain the U.S. backed Kabul government; a reality that Washington appreciates. The latest Indian investment went to the Iranian port of Chabahar, a key supply route to Afghanistan. While the development of Chabahar and the larger establishment of an infrastructural trade corridor is the result of a tripartite agreement between Afghanistan, India and Iran, it can only help Afghanistan economically, which is important for the country’s stabilization. According to John J. Sullivan, U.S. Deputy Secretary of State, the American “South Asia strategy underscores our ongoing support of Afghanistan’s economic growth and development as well as our close partnership with India”. With that in mind, one can argue that the US policy towards both Afghanistan and India necessitated the waiver. By continuing the purchase of Iranian oil using rupees, Iran can continue trading with India, which remains one of its key trading partners. According to the CIA Factbook, over 15.% of Iranian exports, mainly crude oil, are sold to India. Similarly, by conducting all oil transactions in Indian rupees, Iran will be able to continue importing Indian goods, maintaining its trade links to the country. In this sense, India continues with its policy of not recognizing „unilateral“ sanctions that are not imposed by the United Nations, despite waivers by Washington. Nevertheless, by turning to the Indian rupee as a sole currency used in oil transactions, India showcases a strategy which may be employed by other countries seeking to maintain ties with Iran. In this sense, it is surprising that China, a key oil importer in the global market, has decreased oil imports from Iran by 64% in October to 247,200 barrels per day. Indeed, China was not only given a waiver by the U.S., it also previouslypushed its own currency, as a substitute to the U.S. dollar. Despite this, the two Chinese energy giants Sinopec Group and China National Petroleum Corp have both refused to place orders of Iranian oil for November, largely due to the fear of potential US sanctions. 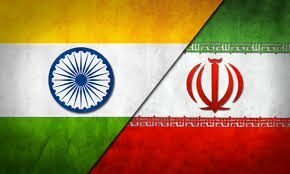 With that in mind, India’s current effort to maintain a balance between the demands of the United States and its trade relations with Iran seems to be successful. However, it remains unclear whether India will follow through with the conditions of the waiver and decrease its reliance on Iranian oil, or it will turn to its own currency as a method of mitigating the effects of U.S. sanctions.